Perfect device for twist-tying bundles of cables, cords, disposable goods, tortillas, candy, and more. 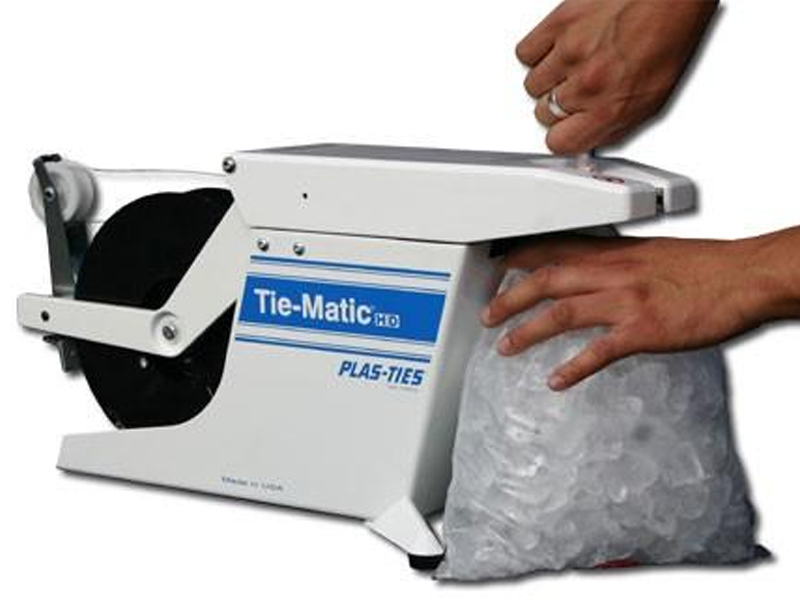 The Tie-Matic HD58 provides exponential speed over manual twist tying and ensures your products are tied to perfection. 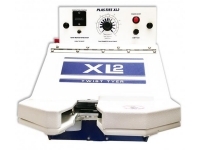 Our portable and durable Tie-Matic HD machines produce air-tight and consistent closures with ease. A spectrum of colored and stylish metallic ties will make your product shine. The Tie-Matic HD58 Twist Tying Machine is made of a durable, all-metal frame and manufactured in the USA. With up to 60 ties per minute, the speed and accuracy of the twist tying mechanism provides a substantial gain over traditional manual tying. 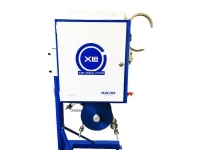 To activate the machine, simply insert the bundle in the 5/8" throat opening of the machine to receive a consistently tied product. All bundles and bags are secured with 2-1/2 full twists of tie material. Many companies prosper from Plas-Ties Factory Training, set to your needs and budget to ensure your workers are safe, proficient and prepped for a quick return on your investment. We also provide continual technical support through manuals online, demonstration videos and telephone support. Our headquarters, in Tustin, California, has a large inventory of parts and offers next-day delivery options. Occasionally, in-house servicing is unavoidable, but take advantage of our convenient Loaner Program where we provide a loaner unit while your machine is being tuned up. Plas-Ties continually researches and invests to ensure a safe user experience. Activation on the Tie-Matic HD58 will not begin unless the lid is securely closed. 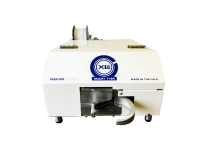 The HD58 Twist Tying Machine can be safely used in the USA or worldwide with the 110V or 220V option. As a UL Listed device, the Tie-Matic HD58 is publically recognized for Standards of Safety. The Tie-Matic HD58 meets the European Market Safety, Health and/or Environmental requirements as ensured by the CE Certification. The HD58 is ideal for twist tying: cords, wire harnesses, cables, tortillas, snack foods, and poly bags. 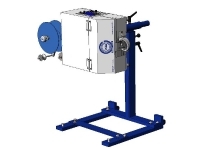 Several industries related to baking, foods, electrical and medical trades will benefit from the speed, reliability and consistency of the Tie-Matic HD58 Twist Tying Machine. Width at Front Feet: 9.5"